The coming of spring, the joy of friendship, and equality for all is a good reason to celebrate. Holi Hai represents the transition from the dead of winter to the color of spring. Smearing strangers with color and having them do the same with you is a highlight of the festivities. 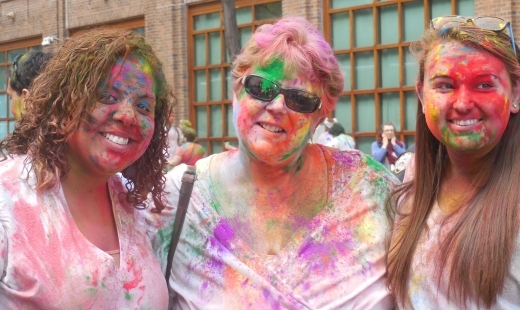 The colored powders used in Holi represent happiness, love, and the freedom to live vibrantly. All nationalities and ethnicities participate as "art canvases". I attended the Museum exhibit opening of “Connecticut:50 Objects, 50 Stories” in Hartford at the CT Historical Society. It was fun to see the diversity of the objects and to learn about each one. During the event, I tried different approaches to engage with those in attendance with limited success. 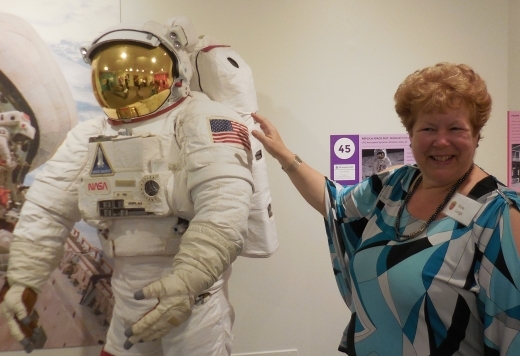 When I saw the space suit, a sense of whimsy took over and I began posing with the display and talking about it. While seeking out the pulse of Salem, Massachusetts, I became curious about the activity in front of Magika on Pickering Wharf. There were a troop of drummers and lots of gaiety. I had been in the area earlier the same morning and it had felt totally different. I revisited to see whether it came move alive at a different time of day. I wasn’t disappointed. 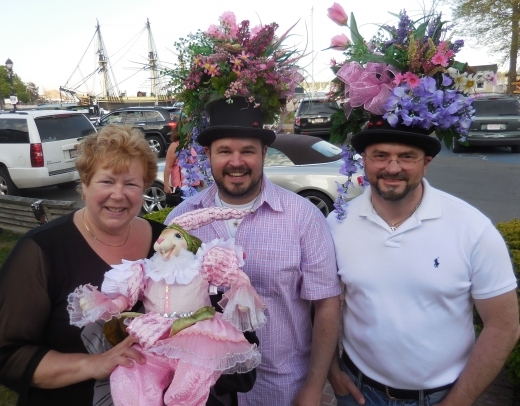 I posed for a photo with two of the attendees with their rabbit and then joined the festivities.